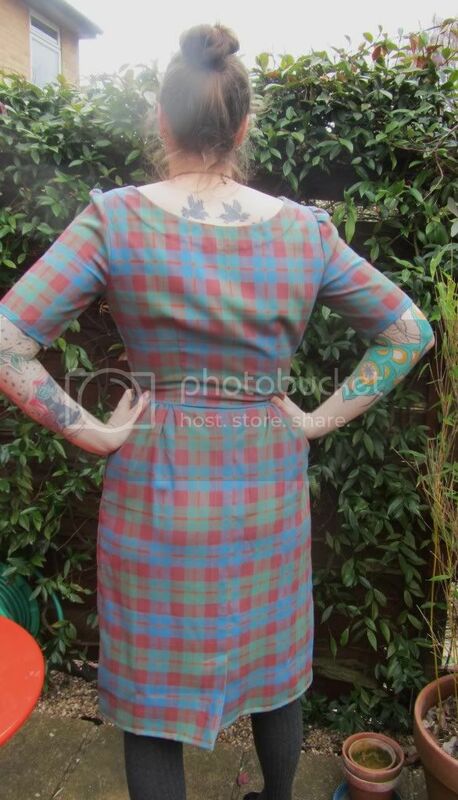 So a day later than normally scheduled, here's my finished plaid dress inspired by Peggy Olson. 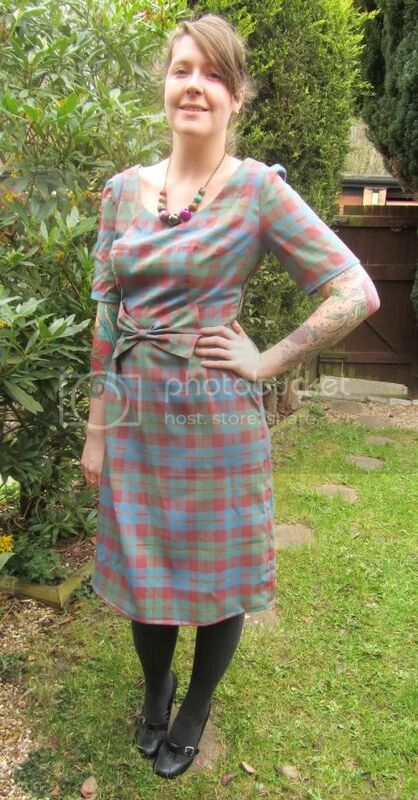 but I decided to leave the buttons out as they're just not worth it for this dress I think. 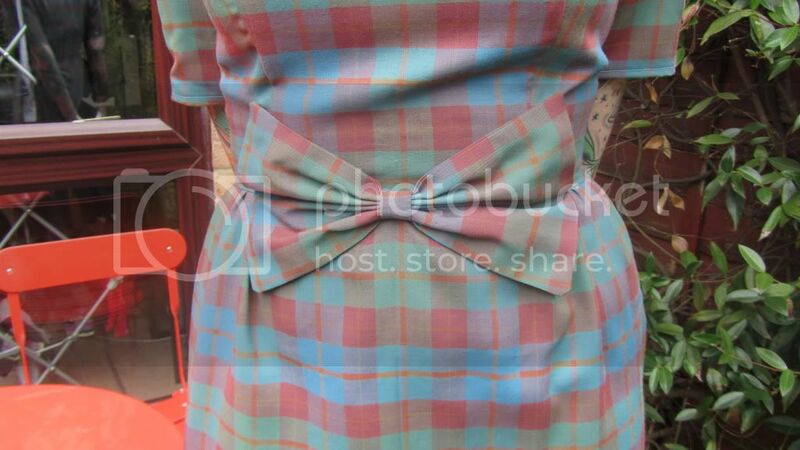 However as you can see I did make the bow to hide my terribly matched plaid stripes! The weather this week has been unseasonably warm, but as luck would have it when it came around to Saturday it had disappeared, typical! 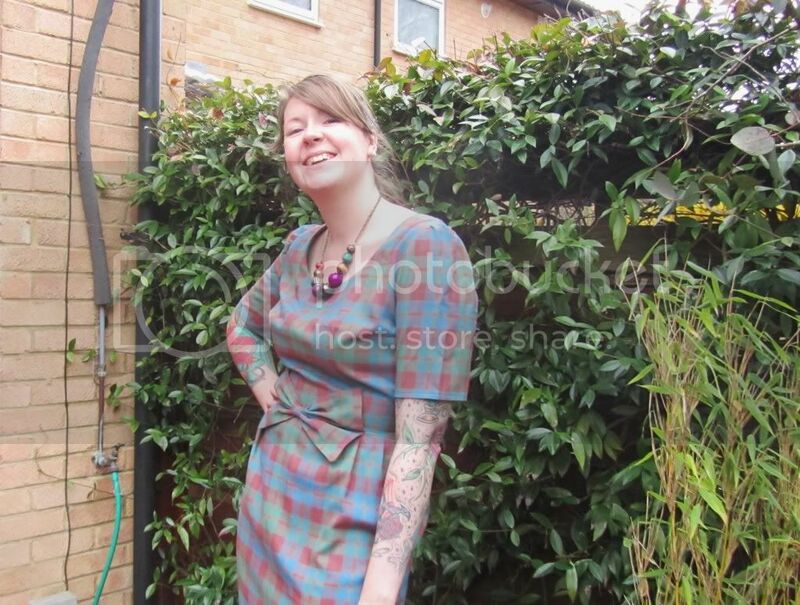 This did not deter me from having the photos taken in our lovely garden though. 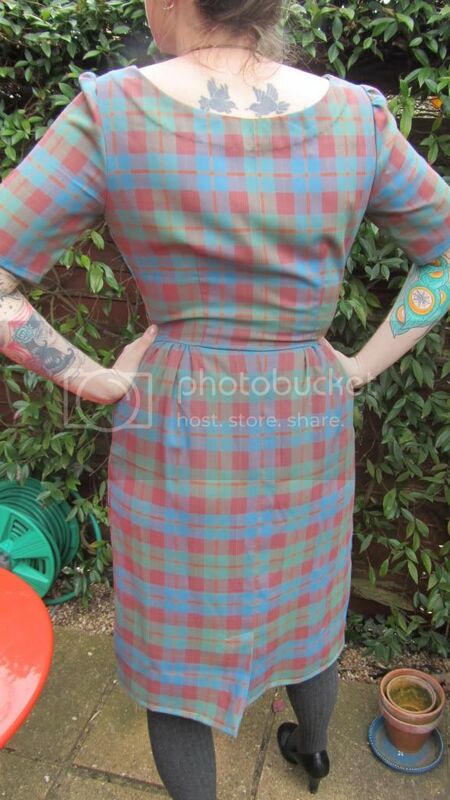 The dress itself came out nicely although I had to cut roughly 2 or so inches from the hem as it came to my calves, although depicted as knee length on the cover?! 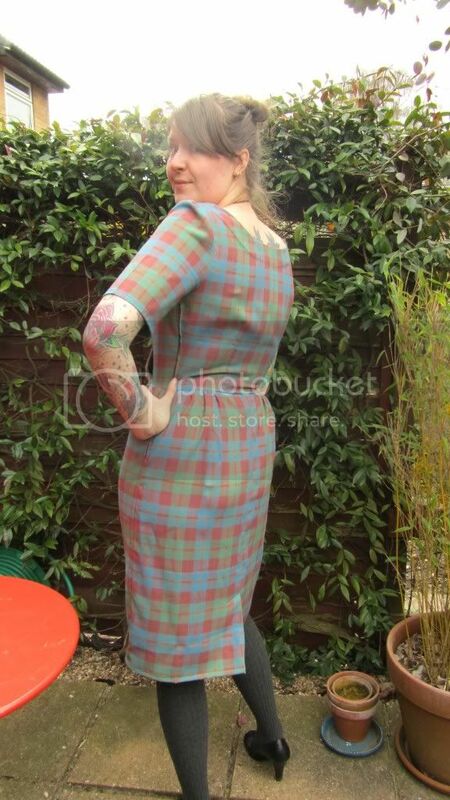 This in turn made the kick pleat a lot shorter too, so that's something to remember for next time. The neckline is also a little loose so I could probably do with shortening the bodice a little maybe? 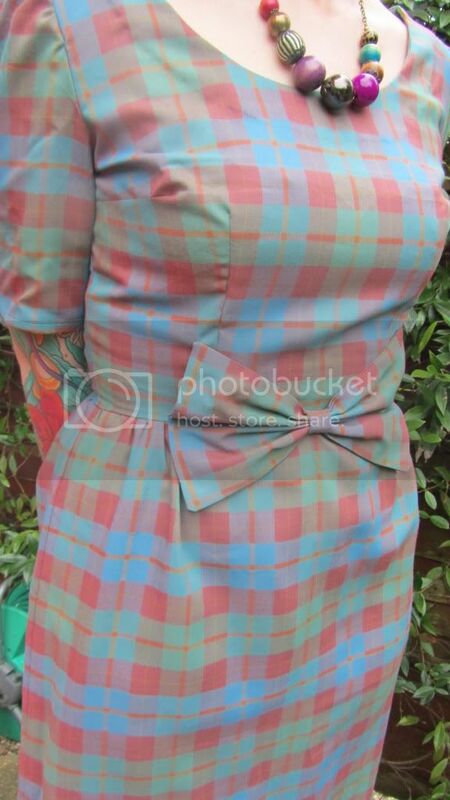 I was also a little unsure of exactly when I would wear this, as it's not exactly a subtle print? 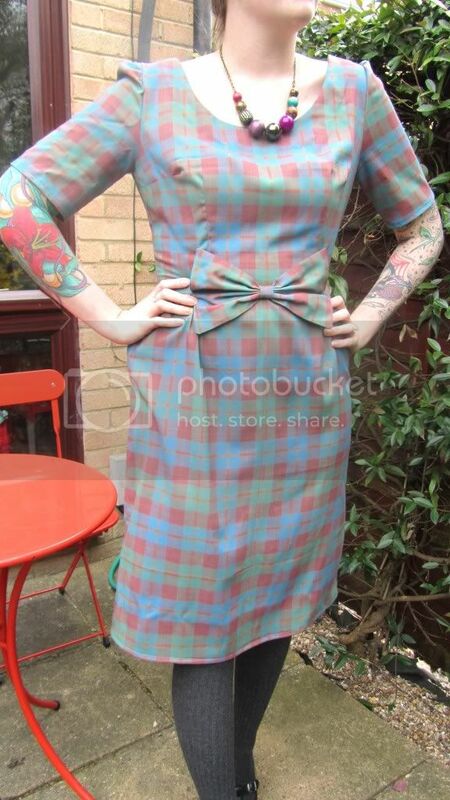 But after looking over this pictures I think it would make a perfect work dress. I like it with my grey tights, and I have a green cardigan that would suit it too. So that's it! Mad Men Challenge accepted and executed X2! I can't wait to see what everyone else has made. Thanks again Julia Bobbin for setting it up! Ooh, I love it! The plaid, the bow, the neckline, did I mention the plaid? Job well done! Oh this is really lovely! Well done for getting this made in such a short time too!